After seeing a boneyard shawl made out of malabrigo sock that I had given my mom for Christmas, my brother requested a beanie with a similar pattern and in the same yarn. 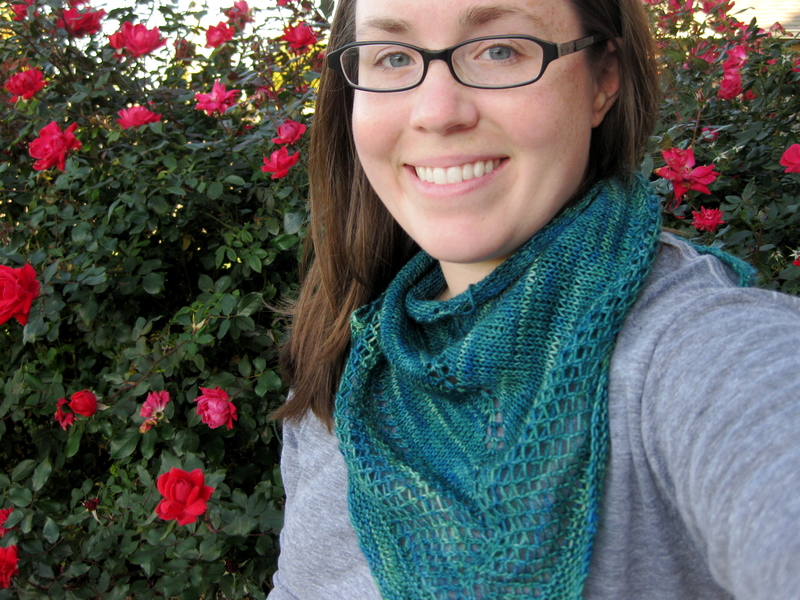 Of course I was delighted to receive a request for handknits, so I ordered the yarn and set to work! I ended up making two hats just to make sure one would fit! 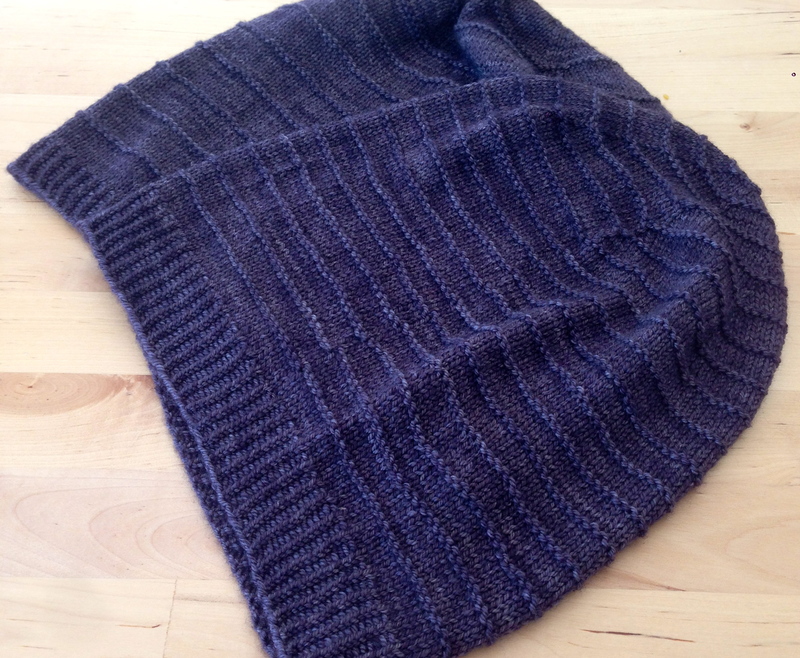 The yarn is malabrigo sock in eggplant. 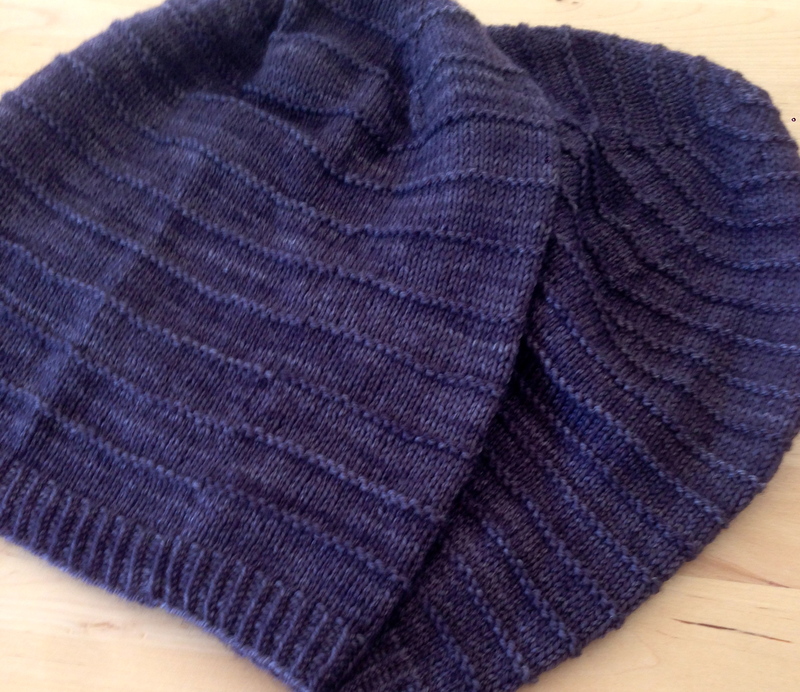 For the hat that ended up fitting (which is the one with more widely spaced stripes), I cast on 140 sts, knitted 10 rows of twisted 1×1 rib and then worked stockinette stitch with a row of purl bumps every 9th row. I started decreasing after the hat measured 9″, and then worked a double decrease at five evenly spaced points on the crown until I got down to about 5 stitches at which point I pulled the yarn through the rest of the stitches and cinched it up! For the one that was a little bit small (and will be coming back to me because it fits me! 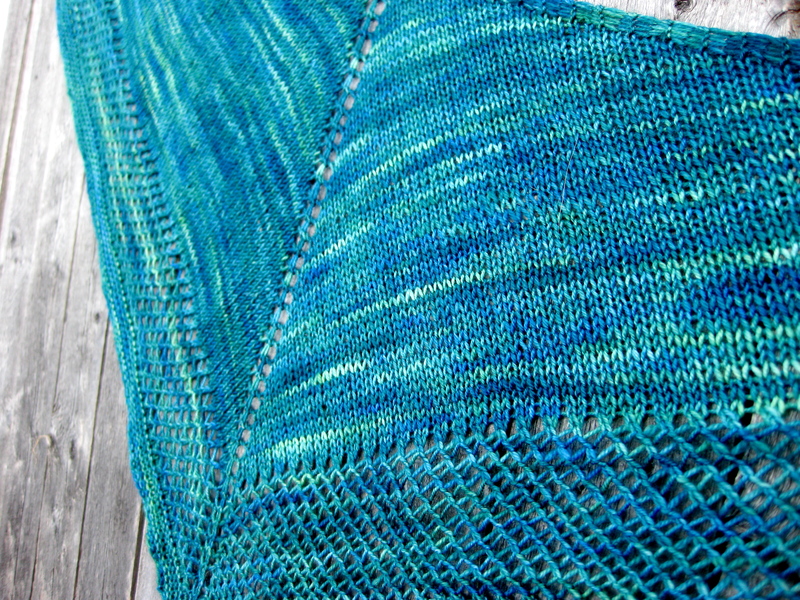 ), I cast on 126 sts, knitted 15 rows of twisted 1×1 rib and then worked stockinette stitch with a row of purl bumps every 6th row. 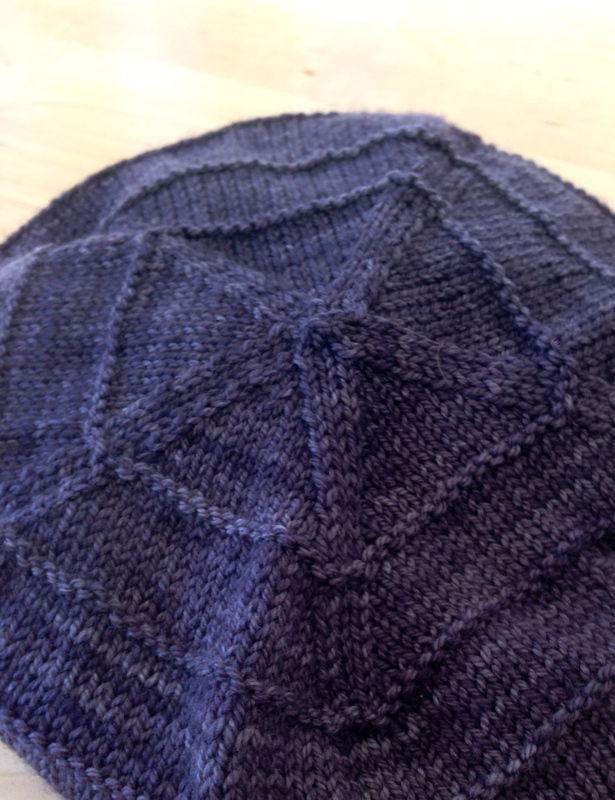 I started decreasing after the hat measured 7.5″, and then worked a single decrease at six evenly spaced points on the crown (just to mix it up from the first hat) until I got down to a few stitches. My brother loves the first hat and it fits perfectly (with plenty of room to fold up the bottom of the hat). 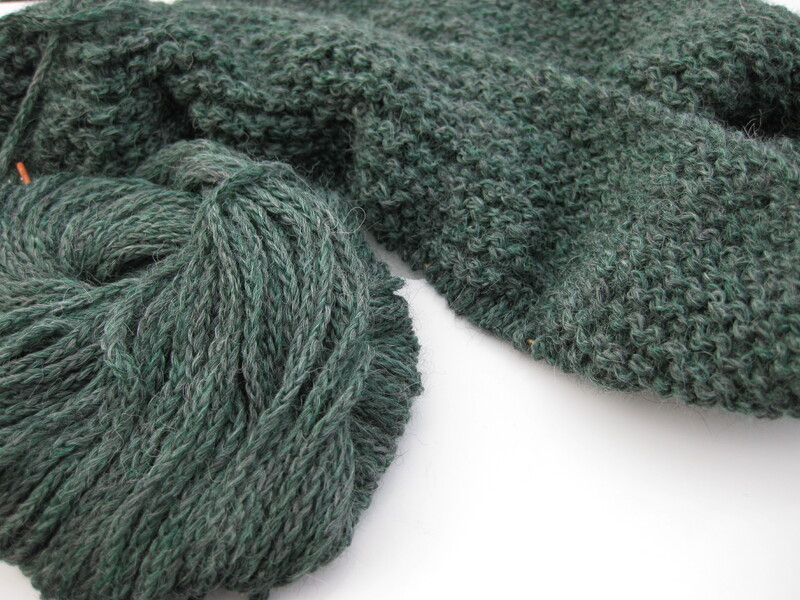 The yarn is gorgeous and super soft. Here’s to family members that appreciate handknits!